Just a lovely post. 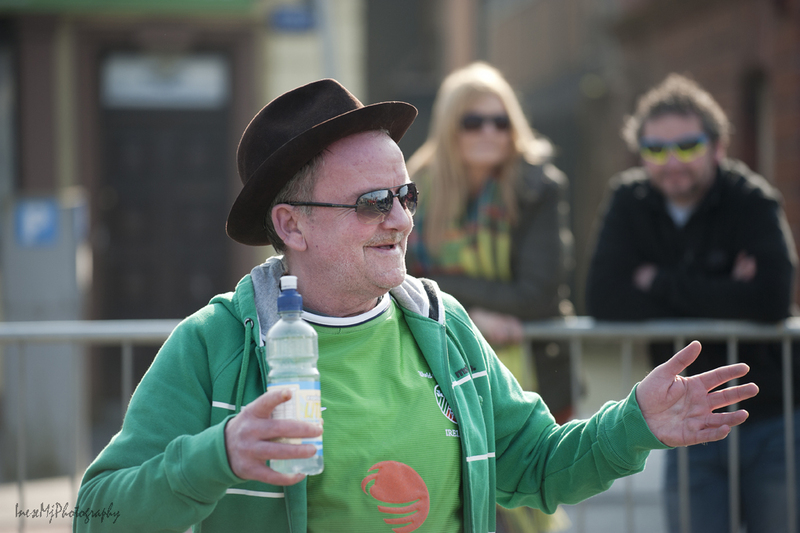 Thank you for sharing an authentic Irish Parade. Have had a very nice visit and look so forward to following your beautiful website. Pleasure all mine. Your photography and website is just stellar. which has me saying humbly, Thank you for choosing to follow JoHannaMassey.com. What a happy looking parade. It seems there were quite a few interesting characters there too. Always fun. 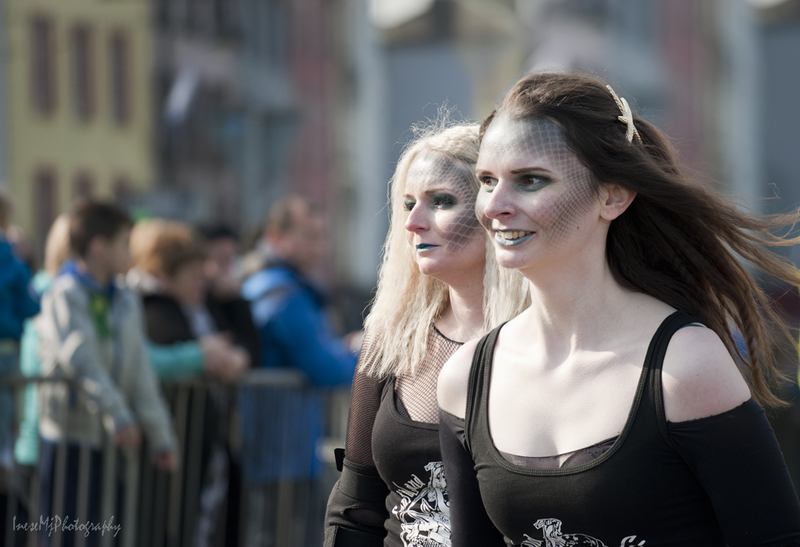 Many theatrical groups take part in the parades. 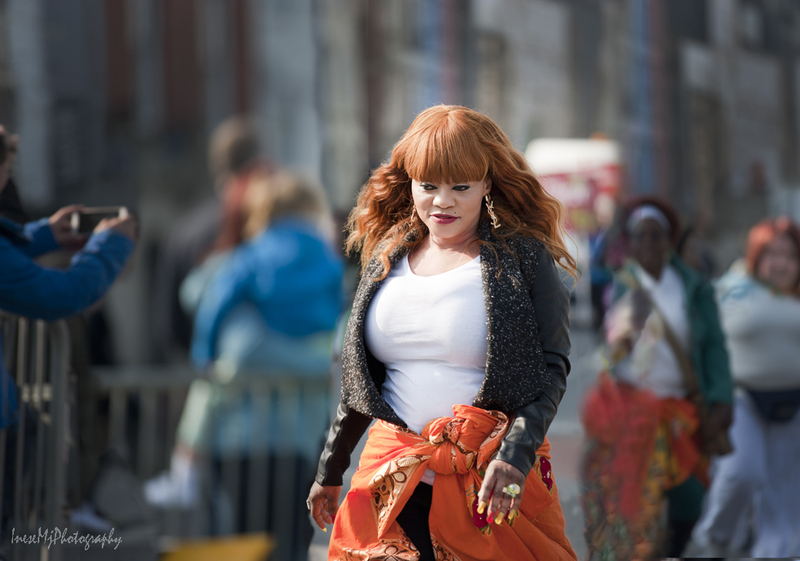 Definitely love street photos capturing people unawares ! Thank you Millie! I love the community spirit of the parades. As to the hosting a capital of culture, I think they act as a region this time, not as separate towns. Ah. I imagine all three regions have got so much to offer and will put up a very good fight for the title. It has been 11 years since Cork city had the title. Another four years will make it 15. I wouldn’t be surprised if they get it. The competitors are some Croatian cities. As always, it will be a few years of effort ahead for all involved. I always feel sorry for the losers. They all put so much into the bid. And they are usually as good as the winners. Thank you so much! This is a wonderful day when people truly feel united. It is so nice when people go to the streets to make fun and enjoy being together! I love this, it’s so cultural. I meant to ask you, do you have a full-frame camera? I have Nikon D700, Maria. I think I used only 24-70mm lens that day. I love this Inese, it’s so cultural. Inese, I meant to ask you, is camera full-frame? It sounds like great fun. Interesting photos! Oh how wonderful, Inese! You really captured the adventurous and festive spirit of the parade — a true delight. Thank you. Wonderful images – looks like so much fun! Thank you! 🙂 A day to look forward to. Great parade. Looks so cheerful and such fun. Who can resist dressing up or a little face paint? Ah but it is a study by you Inese…..it is not just a study. In fact therein is the rub! Thank you so much for your lovely comment, Gulara! Brilliant stuff Jan! I enjoyed every picture and every word. The are some wonderful pictures here. What a fantastic memorial of the day Inese and the picture from last year is a gem. Thank you so much, David! When I saw that lady and her baby girl, I thought of the Madonna with The Child. Many Hugs!!!!! Looks way more diverse and loads more fun than the impression I got from pics my sister sent me from the Dublin parade. Helps that you are a way better photographer! A belated Happy St Paddy’s day, Inese! Thank you! 🙂 I didn’t focus on taking pictures of the spectacular side of the parade. They had a lot of very creative and very impressive stuff, and everything, but I went for taking pictures of people – it is what I usually do. Best of Irish Luck to you! And I like pics of people the best, too. It was a great pleasure to see them all, as usual. Great captures of people faces, you can feel you are connected to them and their joy in the festival. I missed to say. Happy St. Patrick’s day! Thank you Robin! That woman with the baby looks like modern Madonna with The Child to me. 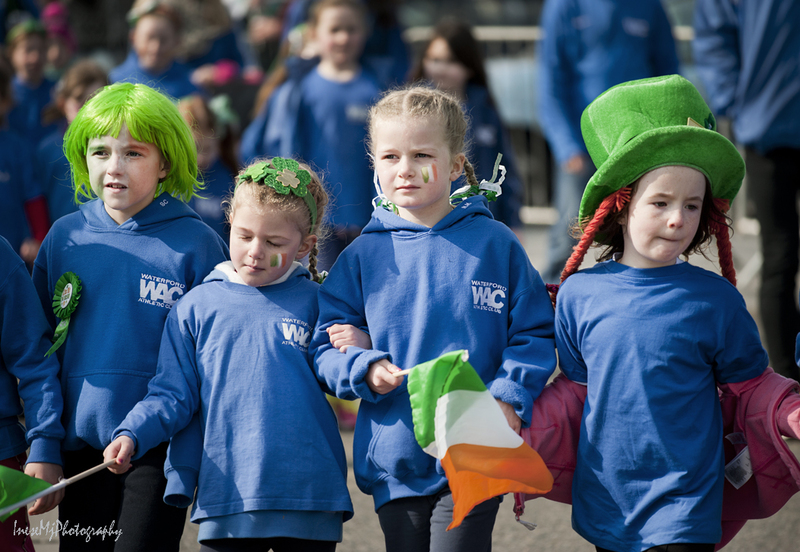 Inese, a lovely post capturing the Waterford parade. Thanks for sharing such brilliant photos. Thank you so much! 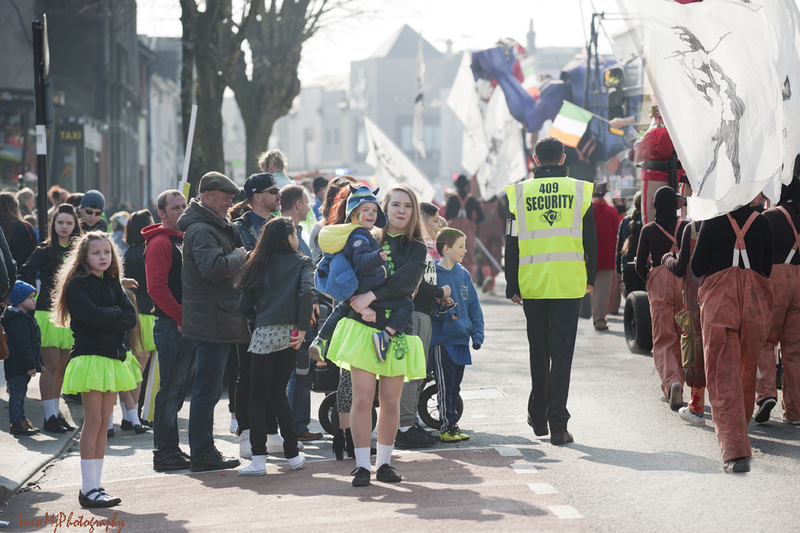 Sorry I couldn’t make it to Tramore… Have you been to the parade this year? 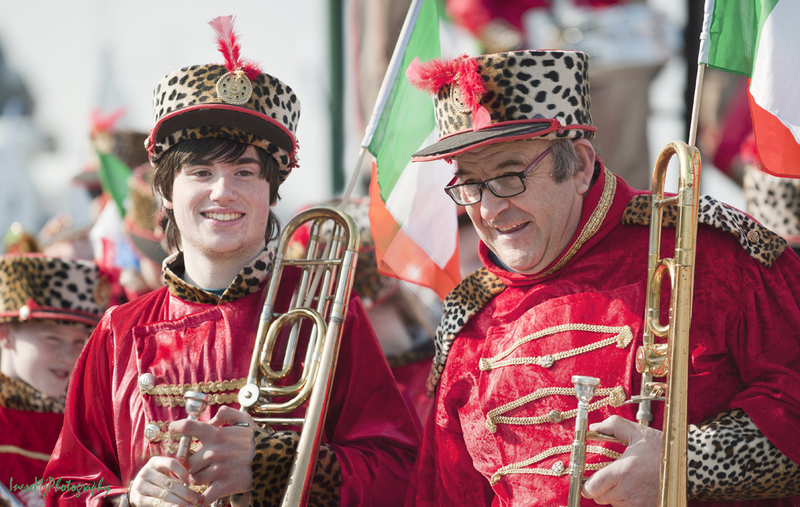 No, I wasn’t at either the Waterford or Tramore parades this year. First time missing the Tramore one ever, I think. I love to visit smaller towns – the photographs come out more personal. Unfortunately it didn’t work out this year. Knees, how adorable is that little hat on the baby? 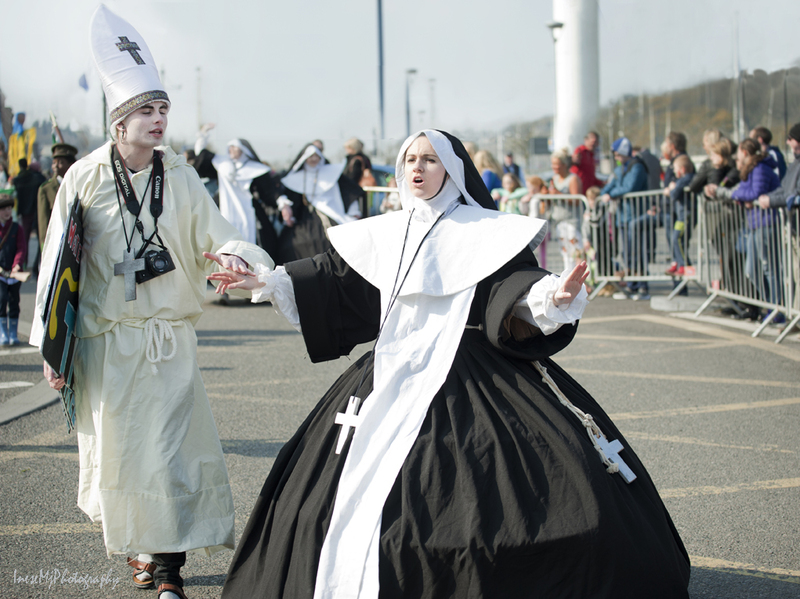 Thanks for a view of an authentic St. Pt’s parade. Thank you so much! I should have posted more photographs of the floats, and puppets, and everything else… It is a very spectacular event. As an Irish heritage Canadian, All I can say is GLORIOUS & FUN!!!! I too! Nothing like a good old parade! Looks like a great event. And a sunny day too. Thanks for sharing this Inese, it’s obviously a really big do in Ireland…at least we got the Google theme change for the day! Fabulous! Happy St Patrick’s Day to you. Thank you! My favorite day! 🙂 Best of Irish luck to you! Looks like a lot of people having fun. Enjoy. Thank you! Our favorite parade. Happy St. Paddy’s Day! I grew up in NY, and my dad marched many times in NYC’s annual St. Patrick’s Day parade. He was a Sergeant with the NYPD. Living now in California, I miss NYC and its amazing vibe on St. Patrick’s Day. 🙂 Great photos! Thank you! You are right, these parades are very spectacular and creative. 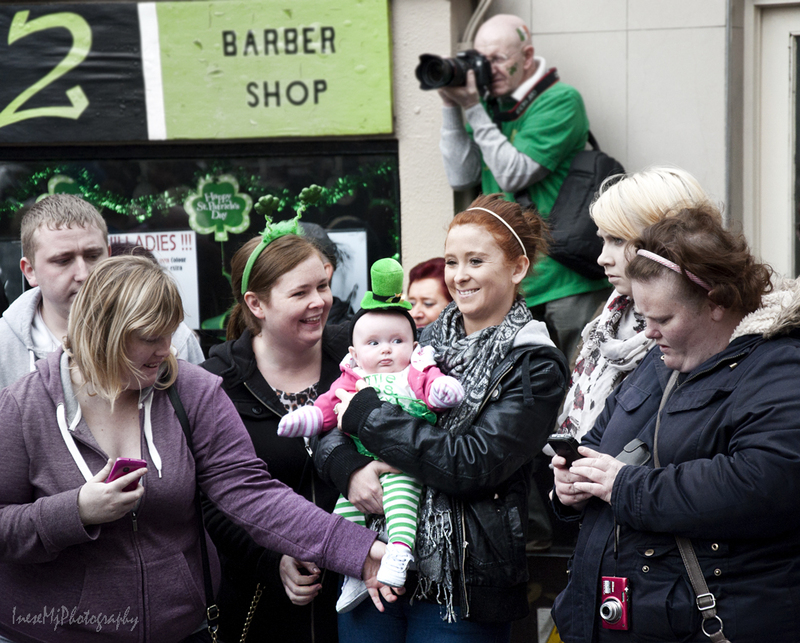 My project was to take pictures of people – I have covered only a tiny part of the event. 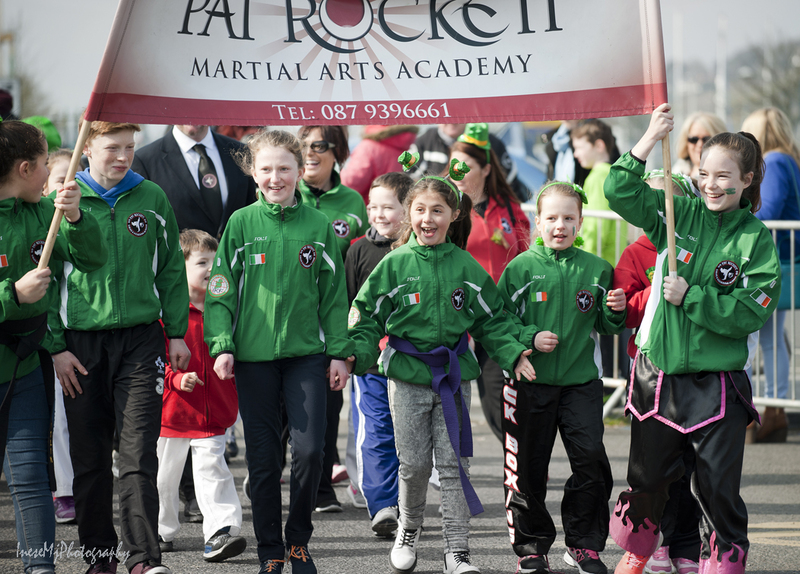 Some lovely pics of a Saint Patrick’s day parade in Waterford Ireland by one of favorite photographers! I had such a good time with this post, Inese, virtually partying with you and the parades. Your photos and narrative together always make me feel like i’m right there. Wishing you a happy St Patrick’s weekend, my friend. Mega green hugs! Haha! I think they probably did. Samuel Beckett’s — they have good food and the only fish-n-chips I’ve found in many years that I can eat (I’m allergic to eggs and everyone else has egg in their batter). Hugs again. Oh, Samuel Beckett’s! He was a writer. Now I want fish and chips! 😉 Hugs! Thank you Sarah! I love the day and the parade. So many great pictures! What fun! Can I reblog on the Twissel blog? Of course, Jan, thank you so much! I have tons of pictures 🙂 This time I just wanted to show people rather than puppets and floats. 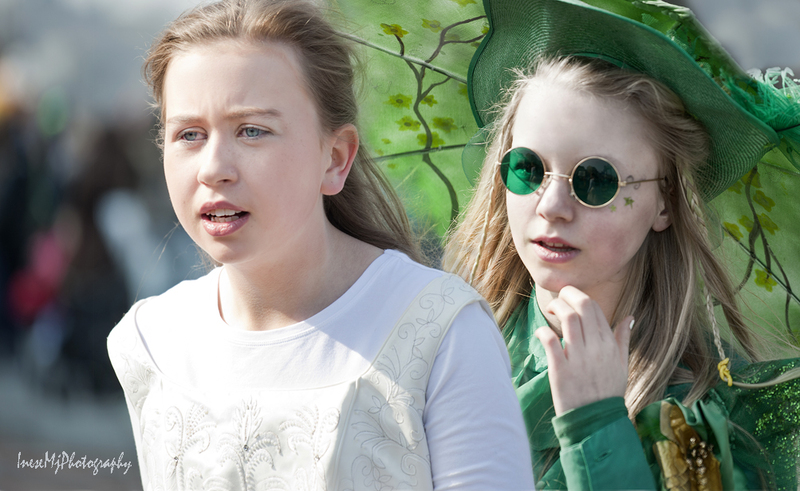 Such fun to see all of this….I lived for many years in Boston (USA, Massachusetts) where there is a large community of Irish Americans and they, too, make a big deal of St. Patrick’s day…with the parade, the general merrymaking, etc. I used to drink a mug of green beer on that day, but I never went so far as to dye my hair green, like so many others did! Here we usually cook corned beef and cabbage to celebrate, so I did that yesterday, the 17th. 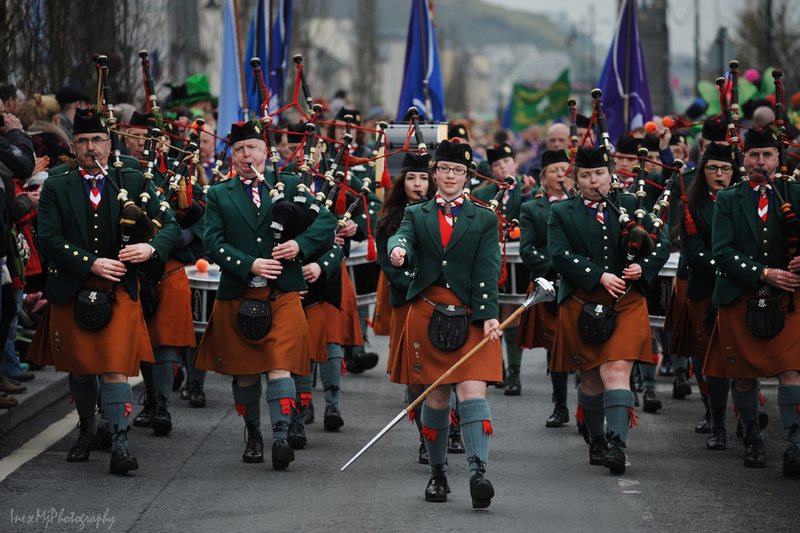 I have often been told that St. Pat’s is mostly an Irish American thing, and that the “real” Irish in Ireland don’t celebrate it as much as we do. Your photos tell me differently! A nice treat to see, Inese! Oh no, Cynthia, it is celebrated religiously, and all the streets are lined up for the parade. Big or small, the parade is highly supported by the locals. People are cheering their firefigters and river rescue teams, ambulances, schools, sport teams, and everything else. Everyone is in the streets 🙂 Glad you enjoyed the pictures. Thank you so much! 🙂 Glad you enjoyed the parade!